My Grandma Mildred used to always have Neapolitan ice cream in the freezer. Back then, I always preferred more strawberry and vanilla and a little chocolate. Now I want all three. 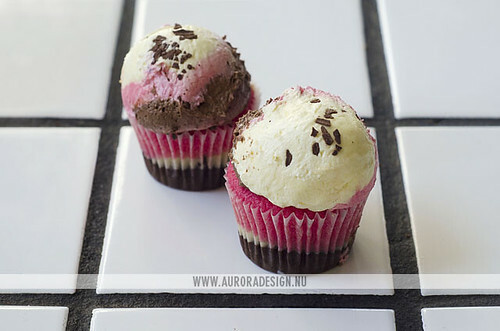 Check out these Neapolitan cupcakes via Naomi of Aurora Design. As an Italian Domestic Goddess, these look amazing -- just what my grandmother would love, ice cream wise, in cuppy cake form. Yum!